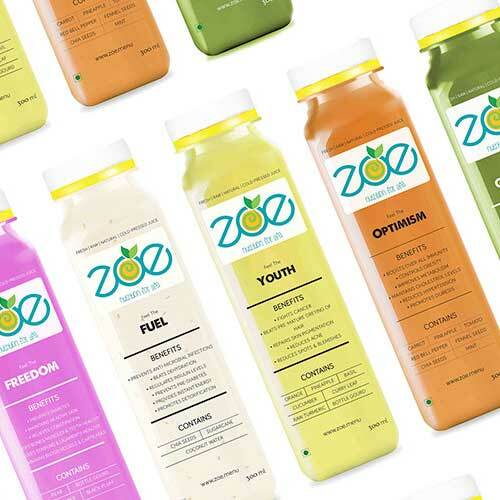 Cold Pressed Juice Cleanses – Yay Or Nay? One of the vogue that are catching on these days in the health, fitness and lifestyle category is that of cold pressed juices. But before you jump on the bandwagon, don’t you want to know what exactly are the benefits and qualities of cold pressed juice cleanses? Lift the veil of “Cold Pressed Juice Cleanses” versus “Blended Traditional Juices” now! Traditional juices are made in blenders and grinders which use blades that cut up the fruits and vegetables to extract the juice. The high speed of the equipment generates heat and also exposes the ingredients to air which cuts down the natural nutrients that should be entering your body. But now, with cold pressed juicers, the machines help in juice extraction by applying high pressure without adding any heat which ensures that the juice you drink is chock-full of nutrients to keep you healthy and happy. Because the cold press machines don’t use any blades, the juice contains ample natural pulp, fibers and protein. The zero-heat application process also retains plenty of the vitamins and enzymes essential for the body. Many juices available on grocery store shelves claim to be 100% natural, healthy and full of essential vitamins and minerals. But the fine print you don’t see talks about all the synthetic ingredients while the effects of the heat and pasteurization process are never even mentioned. With cold pressed juice cleanses, this is not a concern. When you buy a cold pressed juice, you can be rest assured that only the best of the ingredients and nutrients are going to be satisfying your stomach. So go on and enjoy some delicious cold pressed juices to kick start your day on the right foot every morning. Detoxing regularly at least once every week with one day detox, flushes the toxins out of the body. It helps in maintaining the overall wellness of the body, and provides the vital micro-nutrients of the juiced fruits and vegetables packed in neat jars and bottles. Treat your body with this natural experience here. Read our blog to know about some indispensable nourishments for healthy heart. Comments to Cold Pressed Juice Cleanses – Yay Or Nay? Have you ever thought about including a little bit more than just your articles? I mean, what you say is fundamental and everything. Nevertheless think of if you added some great visuals or video clips to give your posts more, “pop”! Your content is excellent but with images and video clips, this blog could definitely be one of the greatest in its niche. Fantastic blog!